Removes stains and limescale from brickwork, concrete, paving and tiles. Also removes algae, dirt and grime. 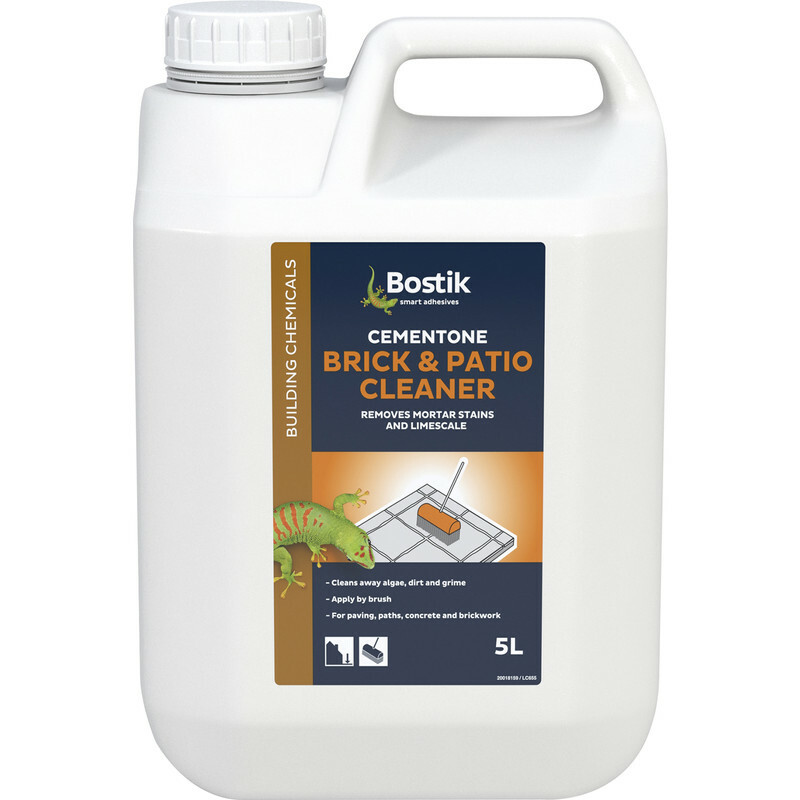 Cementone Brick & Patio Cleaner 5L is rated 3.1 out of 5 by 29. Rated 3 out of 5 by Rambles from Difficult to evaluate I was cleaning the brick riser of steps down to the patio. Reading the instructions, it seemed like a dangerously strong acid, so I started off using just soapy water and thought of returning the product unopened. But the soapy water wasn't enough, so I then used the product, at the recommended dilution rate. It was marginally more effective than soapy water, but not a big difference. I will need to re-apply. Have read DIY suggestions to try white vinegar, which is another acid and might do for a small area. Rated 5 out of 5 by tony dartford from Also for cleaning toilets I bought this to clean a very badly encrusted toilet bowl which had a thick layer of brown urine salts due to the cistern not working. Rated 1 out of 5 by Sir R from Doesn't work I bought 6 bottles used 1 and a half, returned all 6 for a full refund. Doesn't make any difference. Rated 1 out of 5 by pm233 from Not great Tried to use this to clean stained brickwork but never touch it. Wouldn't buy again. Rated 1 out of 5 by PMCa from Disappointing product I bought this product last week to attempt to clean stained tarmac. I was very disappointed to find that it did not live up to the standard of the product description as it never even made any difference to the tarmac at all.